Natural ingredients helps to keep your underarm smoother & supports an even skin tone for beautiful, clean underarms. No Alcohol added for quick drying Enjoy revitalizing, cooling freshness with effective underarm protection from this deodorant all day long. Ingredients: Shea Butter Oil, Moringa Oil, Black Cumin Seed Oil, Patchouli Oil, Frankincense Oil, Sandalwood Oil, Vetiver Oil, Sage Oil, Lavender Oil, Aloe Vera Extract, Vitamin-E Oil, Avocado Oil, Coconut Oil, Sunflower Oil, Grapefruits Seed Extract & Natural Fragrances. 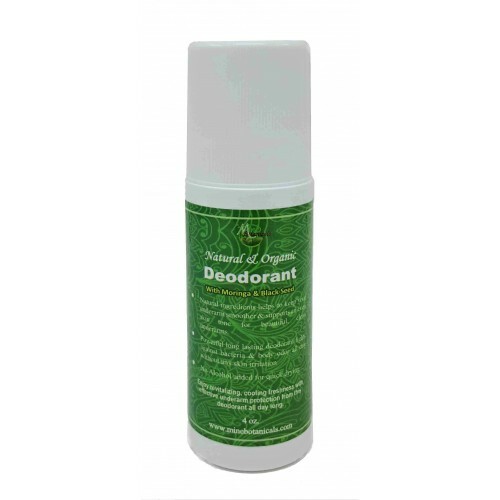 Use: Before applying the deodorant, either take a shower or wash your armpits thoroughly to freshen up. Dry with a towel so that the deodorant will roll onto your skin smoothly without smearing. . Apply the deodorant at the center of your armpit, working your way outward in all directions until your underarm is completely covered. Reapply throughout the day as needed.